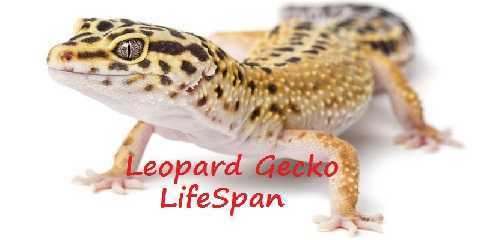 How Long is Leopard Gecko Lifespan? Where to Find Leopard Gecko? Leopard gecko lifespan is interestingly long compared to other kinds of lizards in the same category of size. Leopard Gecko is a kind of lizard which has been bred in the US for around 30 years. Spotted Leopard gecko is a lizard whose part of the body is fulfilled with spots especially around the area of the head. This kind of gecko lizard is the common ones which can be found not only in the US but also in most countries in the world. 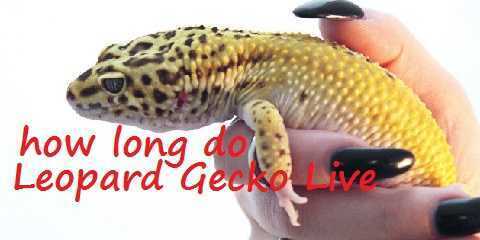 Leopard gecko is spread all over the world in a wide range of colors, size, and also spots. How long do leopard geckos live? The lifespan of leopard gecko is actually differentiated based on the age of the gecko. Small leopard geckos can live for 2 until 3 years. These leopard geckos can have this longevity because of its great care made by human. It can be concluded that when you don’t treat these geckos you won’t be able to find this longevity of the geckos to be around 2 until 3 years. However, the female leopard gecko can live around 7 to 10 years. It is considered shorter than those male leopard geckos. Due to the reproduction processes, mating processes, and also egg laying matters make them have shorter lifespan. Believe it or not, when the female leopard geckos have to develop and even lay eggs is something shocking and unbelievably true. Can you even imagine how possible that small body of a gecko can lay eggs for around 8 times annually? For those who don’t lay egg and do the reproduction cycle, their lifespan will be longer than those who do. What about the male leopard gecko? The male leopard gecko has the longest lifespan for the rest of the age. They can live around 20 years. Thank you for the chance of not doing the reproduction cycle because they can extend their lifespan. In this case, they will be totally free during their lives because they don’t have to deal with the laying egg processes, breeding processes, and other things that might reduce their lifespan. 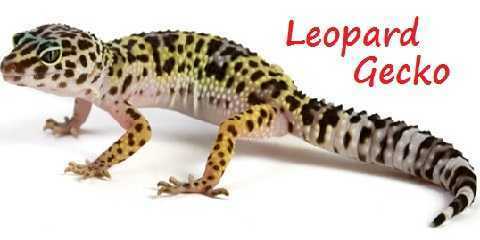 In order to find a leopard gecko, you can go to the reptile shows or pet stores. However, there is also a chance for you to find these leopard geckos on the internet. The price of these leopards can range around $20 to more than $2500. It is differentiated based on its features, size, and also rareness. When you find those rare leopards, you need to be able to afford to the costs to adopt one. Leopard gecko has different kinds of sizes. The hatching can be around 3 to 4 inches, adult female geckos can be around 7 to 8 inches while the adults males are measured to be 8 to 10 inches. It can be quite different for some rare cases, though. In conclusion, the leopard geckos lifespan can be different based on the gender and the age of gecko. For those female leopard geckos, those who don’t experience the laying egg processes will live longer. This is the uniqueness in leopard gecko lifespan.